Mark is the founder and partner of Capitalise Assets LLP. Mark started his property career at Cushman & Wakefield Healey & Baker in the Mid 1980s moving to a small Surrey based developer in 1990 and remaining there until being recruited by the Berkeley Group in 1999. 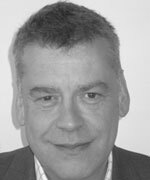 Mark was Land Director at Berkeley College Homes (now trading as Berkeley First), the student housing subsidiary of the Berkeley Group, and was responsible for delivering the planning and forward sale of the largest mixed-use keyworker and student housing scheme in the UK in 2004. This consisted of over 800 student units, and over 100,000 square feet of teaching academic space which Thames Valley University now occupy, and 220 affordable housing units for keyworker homes, located in the London Borough of Hounslow. This site was purchased unconditionally and was granted planning consent within 13 months. In addition Mark was a Director and Trustee for the Berkeley Group Pension Fund. Mark left The Berkeley Group in 2004 and set up Keystone Housing Limited, a joint venture specialist developer focusing on delivering affordable housing and student accommodation primarily on brown field sites in the capital. As Managing Director of the company he oversaw the purchase of sites with the potential to deliver over 450 residential units and approaching 60,000 sq ft of commercial space. Having worked closely with Housing Associations, Universities and financial institutions for a number of years Mark has developed good working relationships in this field whilst at Keystone. The company was sold in 2008 to the main shareholder. During 2008 Mark was responsible for the purchase of two central London student accommodation sites for an HBOS Joint Venture company and the planning consent for a high end residential scheme in South West London. 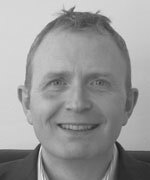 Mark has a BSc in Estate Management, is a member of the Royal Institution of Chartered Surveyors (MRICS) and has over 20 years experience in the property industry. Damian joined Capitalise in October 2009 from Network Rail where he was the head of finance for the Commercial Property division, with an annual turnover of £400m providing the largest amount of commercial property to small and medium sized businesses in the UK, retail operations and land developments. Damian qualified as an accountant in 1993 after completing a graduate scheme with WH Smith PLC. In 2000 he joined The Berkeley Group and was appointed Finance Director for their high end developer Thirlstone Homes and later became Finance Director at Berkeley First, specialising in student and affordable housing. In 2004 Damian was a founder shareholder in Keystone Housing and following the disposal of this in late 2007 he set up Catesby Regeneration Limited (CRL), a joint venture between HBOS and Catesby Property Group with a start up fund of £80m. 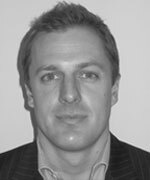 Damian was appointed Group Operations Director and was a member of the board at the Catesby Property Group. Nick began his property career as a Graduate Trainee with the housebuilder Swan Hill Homes after completing a degree BSc (Hons) in Economics. He was promoted to Land Buyer and was responsible for the identification and purchase of residential development opportunities of between 12 and 60 units, at the upper end of the market. In 2005 Nick joined Keystone Housing Limited, a joint venture specialist developer focusing on student and keyworker accommodation in the capital. He worked as a Land Manager and was responsible for the unconditional purchase of sites in the Home Counties and London. These ranged from an affordable led residential scheme of 28 units in Kent to a high density mixed use scheme in London, a site which was forward sold to a Housing Association with the benefit of a scheme showing upwards of 400 units and commercial floorspace. In 2007 Nick joined Catesby Regeneration, a joint venture between The Catesby Property Group and HBOS, formed for the purpose of acquiring brownfield sites within London. Nick’s projects included the unconditional purchase of a vacant office building in the London Borough of Camden. He subsequently worked up a mixed use scheme for the site and planning permission was granted for the provision of over 100 self contained student units and two floors of commercial space. Nick was a founding partner at Capitalise alongside Mark Bellinger. Our developments page lists all of the developments we're involved with and gives full information including photos and any relevant technical data. We like to keep everyone updated with what's new at Capitalise and keep you informed of any new developments or project we're involved with. Our news section is updated regularly. Mark Bellinger, Damian Cox and Nick Scott all have Linkedin profiles that can be accessed by clicking the links below. Why not join their networks?